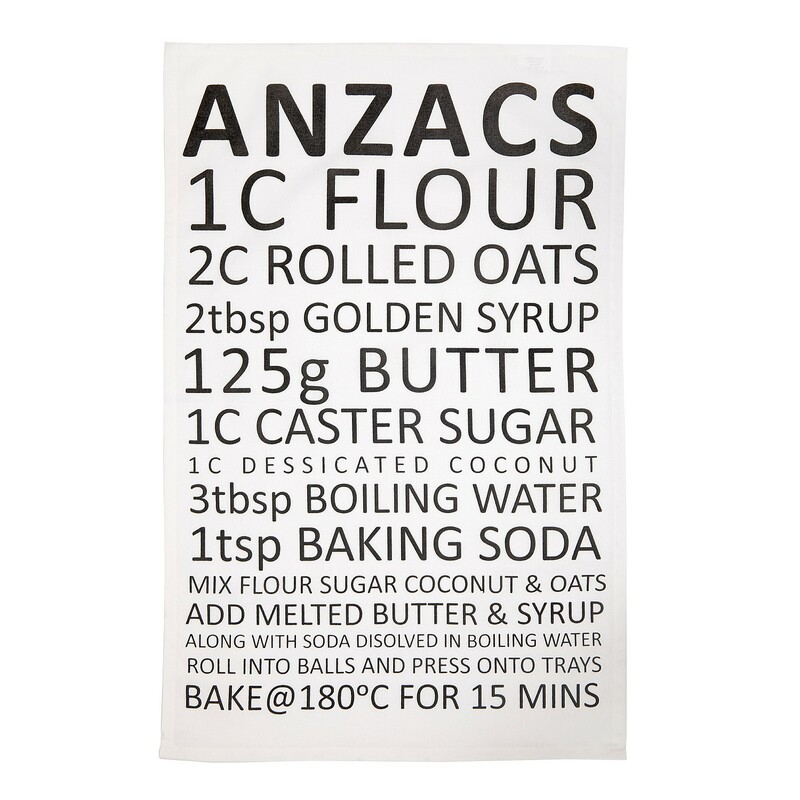 This tea towel will brighten up the kitchen. 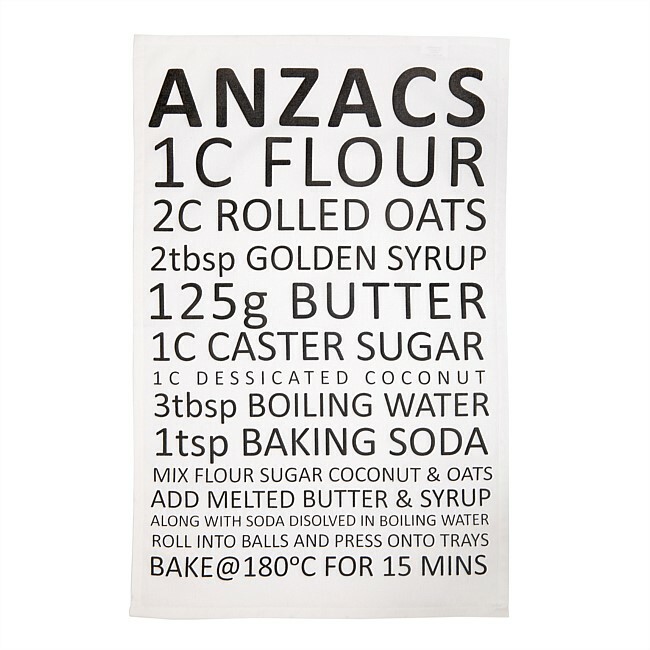 It features a Kiwi classic, the Anzac Biscuit. It's part of the kiwiana Range.